As the 2017 NFL regular season is coming to a close in a few weeks, analysts are beginning to look into each team’s future. 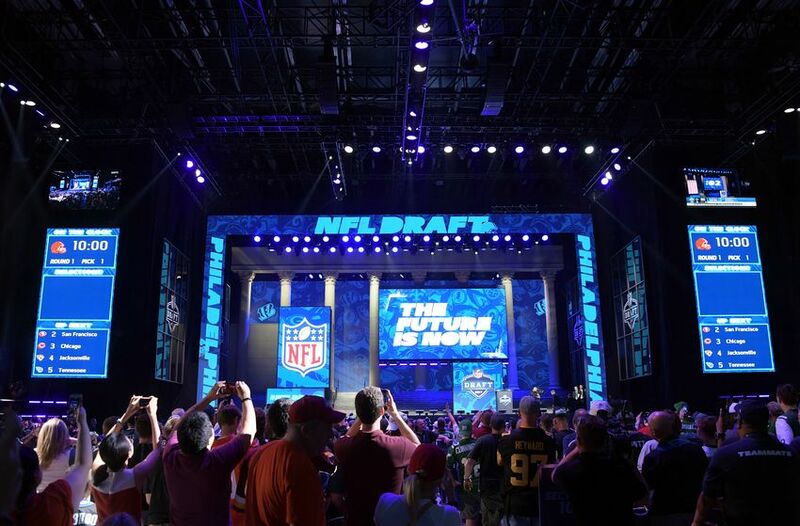 The 2018 Draft is slowly approaching and now is the time to start to think about how college talent is going to be translated into the league next year. Some teams that were out of luck this season aim for renewal in 2018 as they hope whatever piece they bring in will be a game-changer. For others much like the Patriots the draft is for acquisitions that will be ready to go when their name is called. That could come in midseason of their rookie year, or the beginning of their third in the NFL. With the current state of the Patriots, there is no need for panic. The Patriots will either have to give up their 3rd or 4th round pick to the Eagles due to a deal made for Eric Rowe back in 2016. This will be decided based on his snap percentage since 2016. Due to the playing time he has missed this season from injury, I can only see it feasible that the Patriots will have to give their 4th. The Seahawks own New England’s 5th round pick from a deal for Cassius Marsh in the offseason. 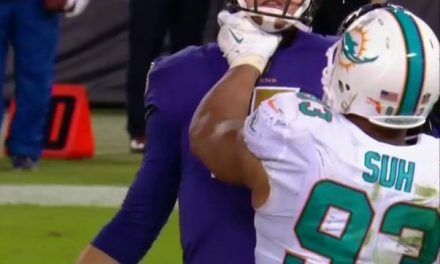 Finally, the Pats might also owe their 7th round pick to the Bengals after acquiring Marquis Flowers from them back in August. However, it is unconfirmed if the pick was for 2018 or not. The following mock draft will change a lot from now to April 26th due to draft order, team needs, free agency grades, etc. Some college prospects listed have not even declared for the 2018 draft yet. If there’s one element that the Patriots need help with the most, it’s help with their pass rush. Their defensive line has not been the same since Rob Ninkovich retired in the offseason. Watching the likes of Josh McCown be able to dance around in the pocket and avoiding sacks is pretty frustrating for fans, and even more for defensive coordinator Matt Patricia. ESPN’s Todd McShay has Banogu as the Patriots’ first pick in his first mock draft for 2018. Ben Banogu can add depth behind Dont’a Hightower and is capable of moving down to help out Trey Flowers as well. This pick could be up in the air since 2017 pick Derek Rivers has not yet proven himself after suffering a torn ACL in the preseason. Banogu recorded 15.5 TFL and 8.5 sacks in 2017, which fell below the radar a bit. But underrated and versatile prospects are what Bill Belichick loves. He served in a 4-2-5 defense at TCU, which is similar to the Patriots’ scheme. This pick would be great to quickly address the team’s pass rushing problems. 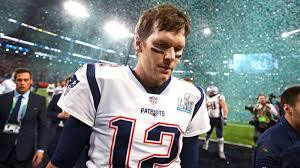 Even though we all wish he could, Tom Brady can’t play forever. With a presumably early 2nd round pick from the 49ers, the Patriots will have a whack at getting one of the many promising QBs that this draft class offers. 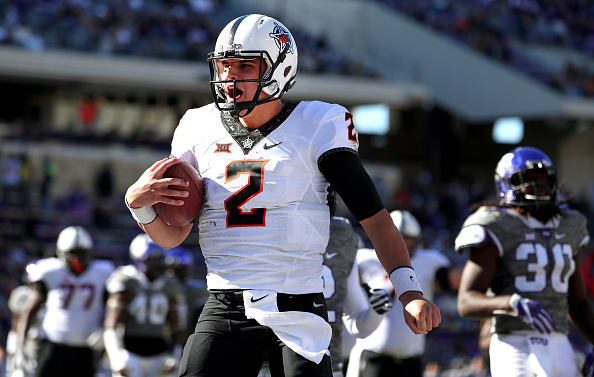 Mason Rudolph is one that could be slept on in the first round, making him irresistible early in the second. In his four years at Oklahoma State Rudolph threw for 13,267 yards and 90 touchdowns with a QBR of 159.3. A strong-arm quarterback that operates under a spread system is something to raise eyebrows at if he were to become a Patriot. A few years under Tom Brady will give Rudolph the intangibles to lead the team in the future. Mike Hughes is a solid corner that is projected to be taken in the 2nd or 3rd round. In 2017 he posted five interceptions, eleven passes blocked, a forced fumble, and forty four tackles. His return skills add another dimension into his game as well. His leadership at Central Florida helped bring the team to an undefeated season. Malcolm Butler could potentially walk after this season if contract negotiations don’t go well. Adding depth at corner will certainly help Stephon Gilmore, who is finally showing his talent on the Patriots. This is assuming that the Patriots get to keep their third rounder from the Eric Rowe trade. Don’t be deterred by the fullback listing; Jaylen Samuels is probably one of the most versatile players in this draft class. 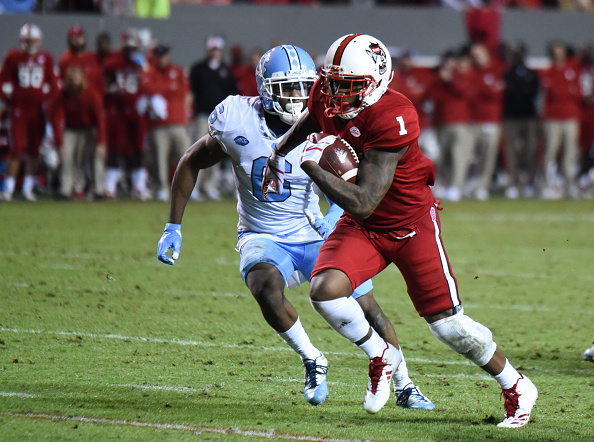 Samuels plays tight end for NC State, but also lines up to take carries out of the backfield and gets splits outside. In 2017 he has 69 receptions for 551 yards and four touchdowns through the air. On the ground averages 5.4 yards per carry for 383 yards and 11 touchdowns. He can be a great back to have on third down for the Patriots because of his unpredictability. Coach Belichick has a history of taking versatile players in the draft, Julian Edelman being a prime example. 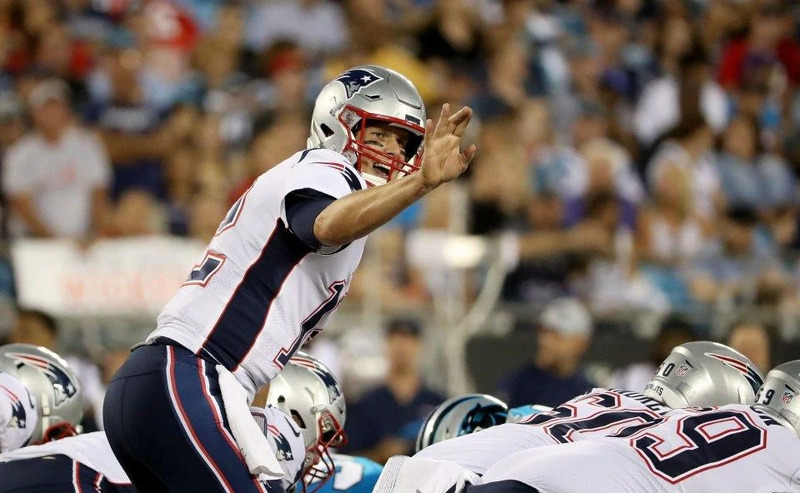 Will Tom Brady Join Mandatory Minicamp?